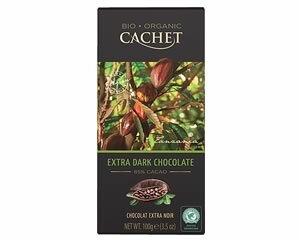 Cachet Organic dark chocolate (85% cocoa solids) made with cocoa beans sourced from Tanzania, Rainforest Alliance Certified. Full-bodied with high intensity. 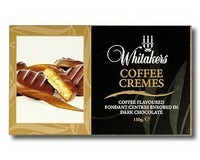 This chocolate will put your senses on the edge and your taste-buds demanding more. Cocoa mass (Tanzania)*, cane sugar*, cocoa butter*, emulsifier [soya lecithin]*, natural vanilla flavouring*. Dark chocolate: cocoa solids minimum 85%. 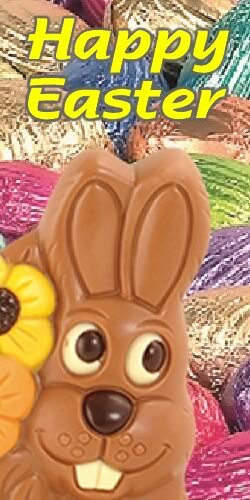 May contain traces of Egg, Gluten, Milk and Nuts.